It’s 90 degrees in the shade on an August morning, a perfect day for growing tomatoes at Eden Gardens, a neighborhood project on Glenfield Street on Detroit’s east side. 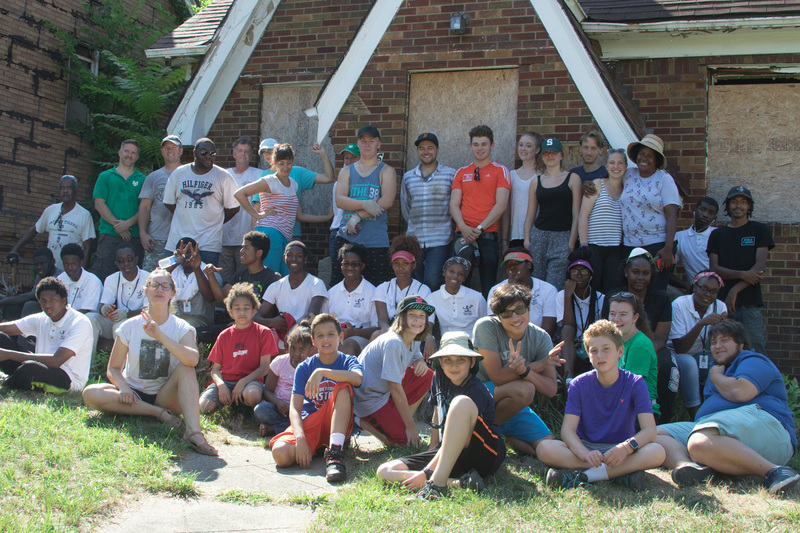 There in the garden, nearly 30 volunteers have gathered – to clear and trim, plant and weed, paint and beautify a cultivated lot between two abandoned houses on the block. It is hard work and a good time. 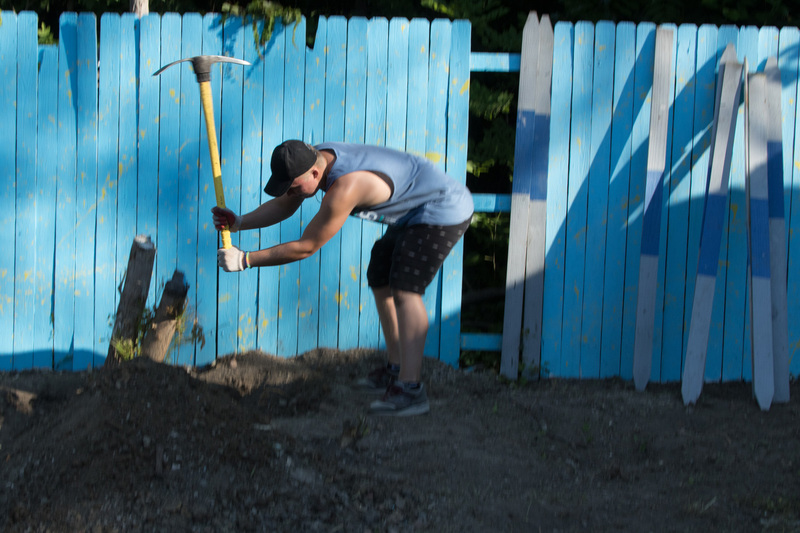 On this particular August morning, there are teens employed by a youth program in the city, corporate volunteers (with the power tools!) from MS Industries in Webberville, Michigan, Jewish kids from the mentoring program PeerCorps . 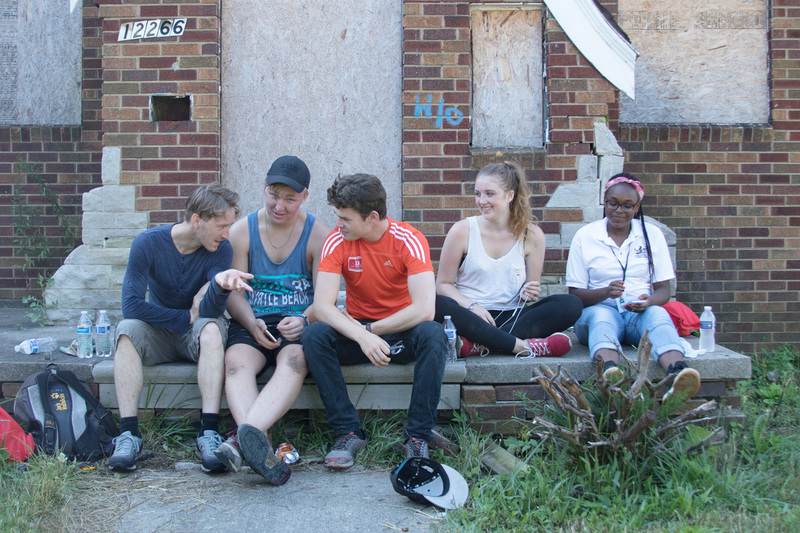 . . and 11 students and post-grads who have come from Germany and cities across the U.S. to participate in a community-building initiative called Growing Together Detroit. 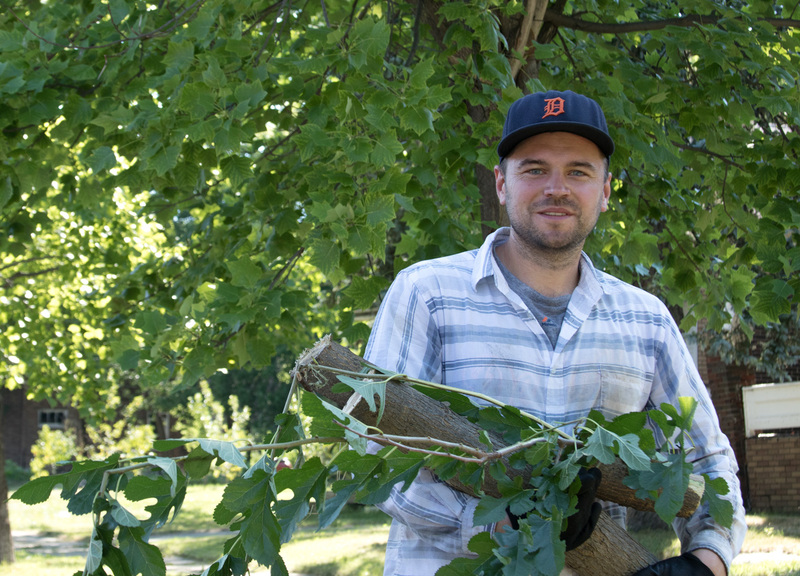 Now in its second season, Growing Together Detroit represents a community volunteer collaboration, envisioned and spearheaded by Richard Bachmann, 28, a German graduate student working in partnership with Karen (Chava) Knox, co-founder of the Eden Gardens Block Club and board member of the Isaac Agree Downtown Synagogue (IADS). Richard fell in love with the city of Detroit and the Jewish community in 2013 when he began work as a volunteer assigned to the Holocaust Memorial Center (HMC) Zekelman Family Campus through the German program, Action Reconciliation for Peace (ARSP). Similar to the Peace Corps, ARSP sends young German volunteers around the world to promote positive connections between communities with the goal to fight racism and promote understanding and harmony among all nationalities, races and religions. Richard met Chava in the summer of 2014. At that time, the concept of Eden Gardens was just taking root with the financial support of the Jewish Women’s Foundation of Metropolitan Detroit and IADS volunteers. Inspired by Chava’s tenacity and her work in the garden, Richard created his own path back to Detroit the following summer as Program Coordinator of ARSP’s newly formed Summer Alternative Break Program, Growing Together Detroit. With his 11 recruits this year, Richard has refined the two-week program, pairing his volunteers each day with young people from the city, allowing the time and space it takes to make connections and lasting impressions. Within the group this year, ages range from high school seniors to mid-30’s; in the mix are grad students and Special Ed teachers. They’ve come from towns and cities including Berlin, Erfurt and Köln in Germany; Los Angeles, CA, Jonesboro, AR, and East Lansing, MI. Building up a sweat, clearing trees stumps to make more room in the garden, Richard walks by with an armful of branches and notes that the group is making headway, thanks to the manpower and a chain saw, courtesy of volunteers from MS Industries, makers of components for heavy duty diesel engines. 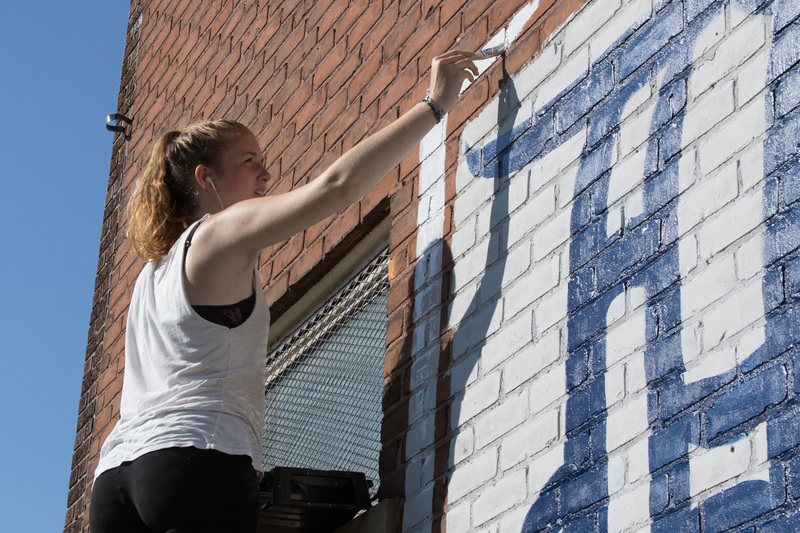 Mia Steiger, a high school senior for Erfurt, saw a brick wall and designed a mural. Emile Heim, from Jonesboro, Arkansas, feels right at home with hard work and a pickaxe. 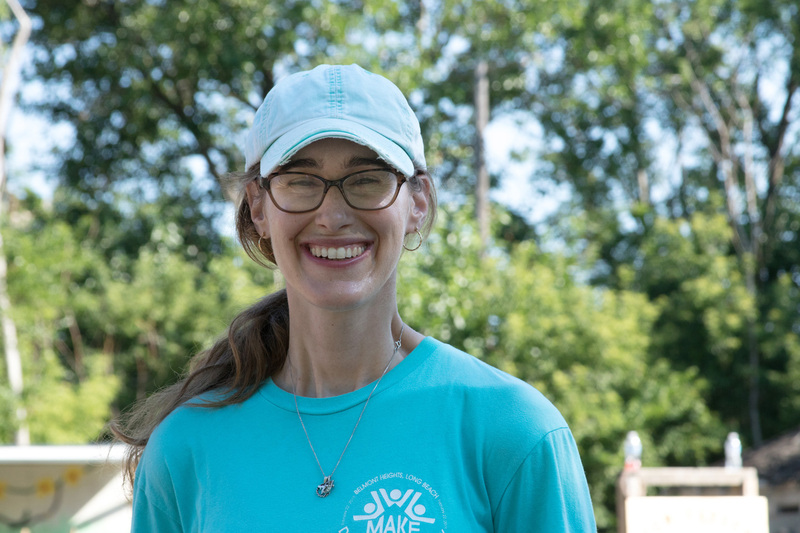 “Everything about this program interested me, ” says Jaime Steinman, a grad student in special ed from California. 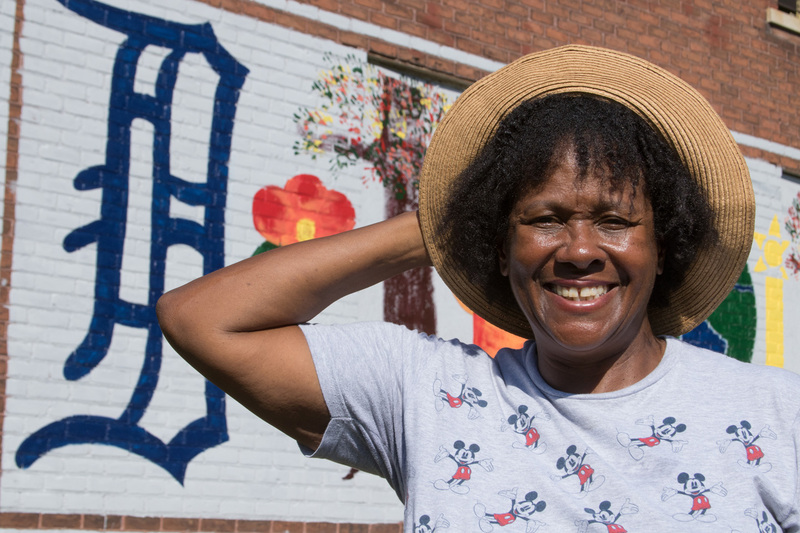 As volunteers in the garden come and grow, each one stands a little taller, a little stronger and more firmly planted as Detroit’s most ardent and global ambassadors. “It’s not all work without play,” adds Richard. “We’ve been to a Tigers game, toured downtown, visited the burbs – we’ve been learning together, living together, cooking together, sharing our cultures. We leave this place as friends with lasting memories. It’s been a blast, and best of all, we leave Detroit with pride that we’ve helped build a little corner of Eden. Growing Together Detroit, with MS Industries, PeerCorps, City Youth and neighborhood volunteers on hand.